Pastor TJ applies the timeless truths of the Bible to contemporary life, combining in-depth Bible study with humor and relevant stories to make scripture relevant and come to life. 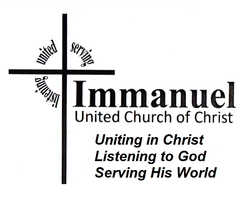 Contemporary Worship 8:30 am with a praise band and a relaxed informal atmosphere. Traditional Worship 10:45 am with hymns and choir. Childcare is available for both services in Rooms 218 & 219. Open Holy Communion is served to all baptized believers on the first Sunday of each month and at special services throughout the year.